The site for the new Puddle Dock Hotel is in a strategic location in the City with prime frontages on the river Thames to the south and Queen Victoria Street to the north. The translucent marble facade that wraps around the building, consists of faceted cladding modules based on a triangular geometry. Diamond shaped windows open at a 60 degree angle to the facade between most of these modules to allow the hotel guest direct views towards the Thames. 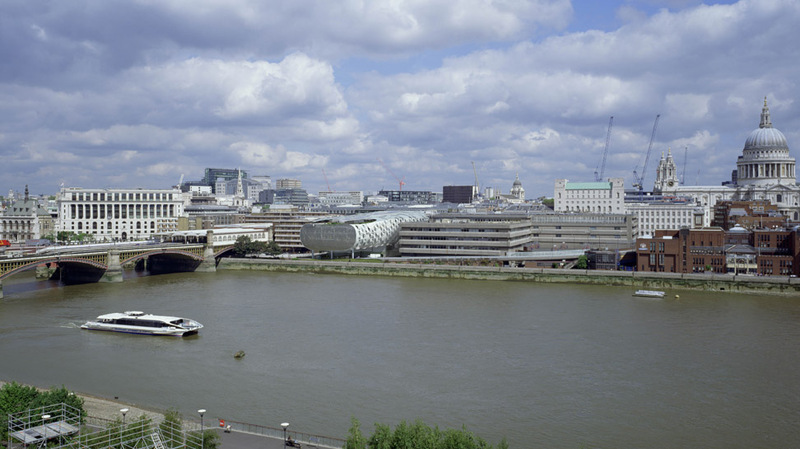 The south elevation to the development is treated as a single entity of flat glazing raised above Upper Thames Street and appears to float above the river when viewed from the South Bank and Tate Modern. The new building will achieve higher standards of environmental quality and sustainability than most good practice air conditioned prestige buildings in the City. It was designed with the intention of achieving an excellent rating by the benchmark of BREEAM and exceeding compliance with the latest Part L Building Regulations. Two internal atria bring natural daylight into the hotel rooms which are allocated in the centre of the building, reducing dependence on artificial lighting and bringing perceptual benefits to the occupant. Renewable forms of energy were considered by the design team. These include photo voltaic panels which would be located on the glazed atria roofs. Other measures considered were rainwater collection from the roof for use as 'grey' water in toilet cisterns, and free cooling via use of chilled beams and ceilings. 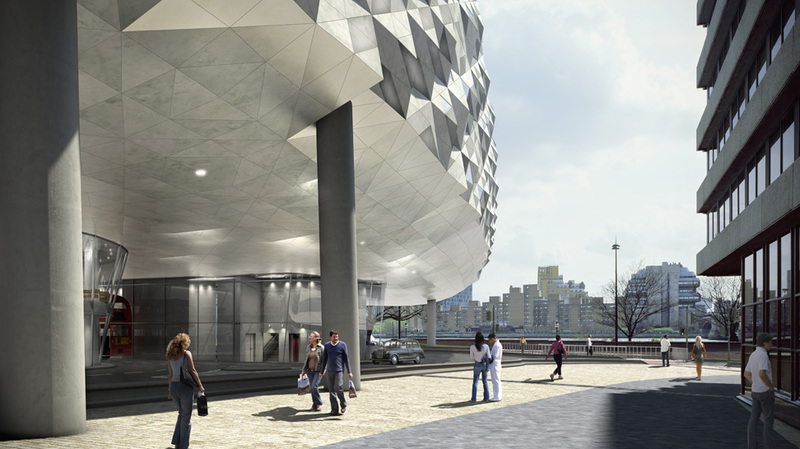 The design was granted planning permission by the Corporation of London in July 2010.